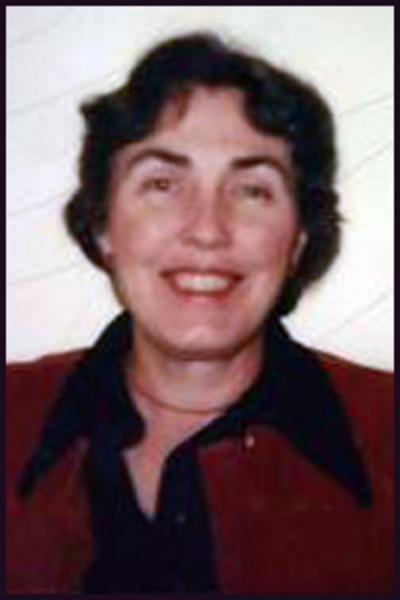 BROOKSVILLE – Mary Cheney Gould of Brooksville, Maine died on Sunday, November 1, 2015 at 3:22 PM in Blue Hill Memorial Hospital, in Blue Hill, ME. Born September 28, 1924 in Bluefield, West Virginia to Lulu raft Cheyney and Clyde Irwin Cheyney, she was predeceased by her parents and her one sister, Elnora Cheyney Wickham, and her first husband, Boris Erich Nelson. She is survived by her son, David Irwin Nelson and his wife Patricia of Poughkeepsie, NY; her two grandchildren, Courtney Rose and Drew Irwin Nelson, and her great granddaughter Ayla Rose Nelson. Her second husband, George J Gould died 1979 and is survived by two daughters, six grandchildren, and seven great-grandchildren. A lifelong musician, she studied piano under her mother’s tutelage from age five to seven, then going on to other teachers. Attended local schools through high-school, when fine choral director, Elizabeth Shelton, stimulated an interest in choral music and arranged for attendance for three summers at the Westminster Choir College High School Clinic, then held in Massachusetts at Mount Hermon School. This experience caused a lifelong addiction to both choral music and New England from which she never recovered. It also determined she would attend Westminster Choir College in Princeton, NJ, graduating with a BMus degree with majors in voice and organ in 1946. She married Boris Erich Nelson in June 1946 and move with him to various academic positions at the University of Mass., Hampton Institute, VA and the University of Toledo, OH. At each of these locations she held organist/choir director positions in various churches and temples- at one time in Virginia serving a Baptist Church, a Jewish Temple, and a Greek Orthodox Church while teaching at Hampton Institute and conducting a community chorus, The Meistersingers, concurrently. 1957-58 was spent in Antwerp, Belgium as student Flor Peeters, renowned organist and director of the Antwerp Conservatory. This led to many organ recitals in Europe and the United States. In Ohio, she served and Episcopal Church for 13 years, taught organ and piano privately, performed with the Toledo Symphony Orchestra both as Orchestra member and soloist and played chamber music with various groups, and most importantly, formed a Two-Piano duo with Shirley Shafer Roe, an Oberlin graduate and fine pianist. From 1954, to present she spent every summer in Maine. From 1957 to 1973, she taught and performed organ and piano at the New England Music Camp in Sidney. In 1973 she moved to Brooksville, Maine, married George J. Gould, a retired Toledo, OH lawyer and longtime friend and built a house for year round residence. This home is on Bagaduce River and it was here that she founded the Bagaduce Chorale in 1974. The Bagaduce Chorale is a community chorus of 80 to 90 singers who come from 18 different towns to rehearse and perform in Blue Hill. She served as a conductor and accompanist for 25 years, retiring in 1999 to become Director Emerita and to continue to serve as accompanist only. The love of studying and performing two-piano music was continued in Maine when she joined renowned pianist and conductor, Fritz Jahoda, in concerts over many years. In 1983, she joined Marcia W, Chapman and Fritc Jahoda in founding the Bagaduce Music Lending Library which had its first home in the house on the Bagaduce. In 1985 the Music Library moved to its present quarters in Blue Hill where she continued to volunteer as Music Director until her death. She was nationally recognized croquet player and coached many who came to play on her home court. In lieu of flowers, please send contributions to the Bagaduce Music Lending Library Capital Campaign, in Blue Hill, Maine. There will be no immediate service, but there will be a celebration of her life. The details will be announced in the near future.